KUALA LUMPUR: The jobs in the '3D Sector', namely dangerous, dirty and difficult are expected to continue offering low pay as the industries involved could not afford to provide high salaries to their workers. 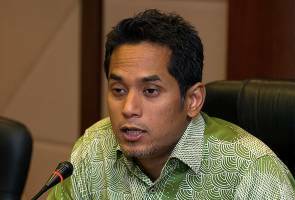 Youth and Sports Minister Khairy Jamaluddin said he believed that industries such as the construction and plantation sector are not able to offer salaries that are too high at this moment. "For now, I believe those industries could not offer salaries that are too high. "The reality is that some sectors would have to depend on foreign workers because the youths in the country were not keen to work in those sectors due to several factors," he said after launching the 'fitness in my pocket' application, here on Tuesday. He was commenting on the move by Deputy Prime Minister Datuk Seri Dr Ahmad Zahid Hamidi in challenging Malaysian youths to work within the 3D-categorised jobs. The issue has sparked some intense debate among the locals especially youths and employers ever since the statement was made last Sunday. Ahmad Zahid challenged the youths to take up the jobs if they were against the decision of bringing in foreign labours into the country. He said, if that can be done, there would be no need for Malaysia to depend on foreign workers, including those from Bangladesh.